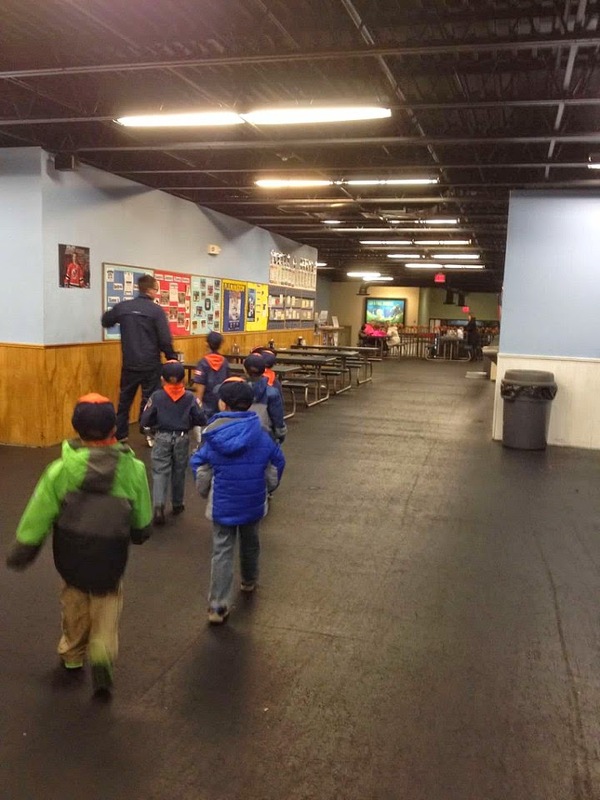 Let's Visit Aspen Ice (now Flemington Ice Arena) in Flemington, NJ! 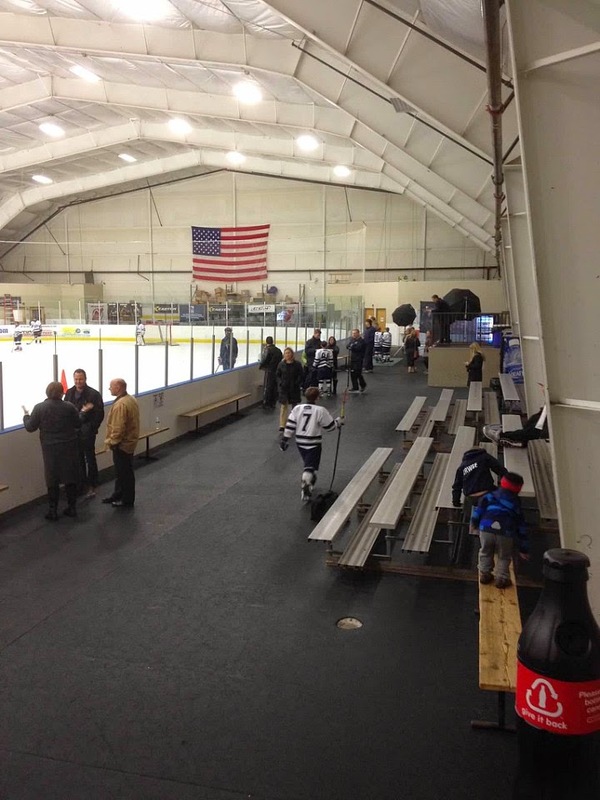 Aspen Ice in Flemington, New Jersey has been completely renovated and is now known as Flemington Ice Arena. For updated photos and news, please check out their website. When The Jersey Momma's Boy was a tiger cub scout, one of the goals of his scout group was to attend 'Go See It' meetings in order to visit a particular venue to learn something new. These trips were a lot of fun and very memorable for the boys. 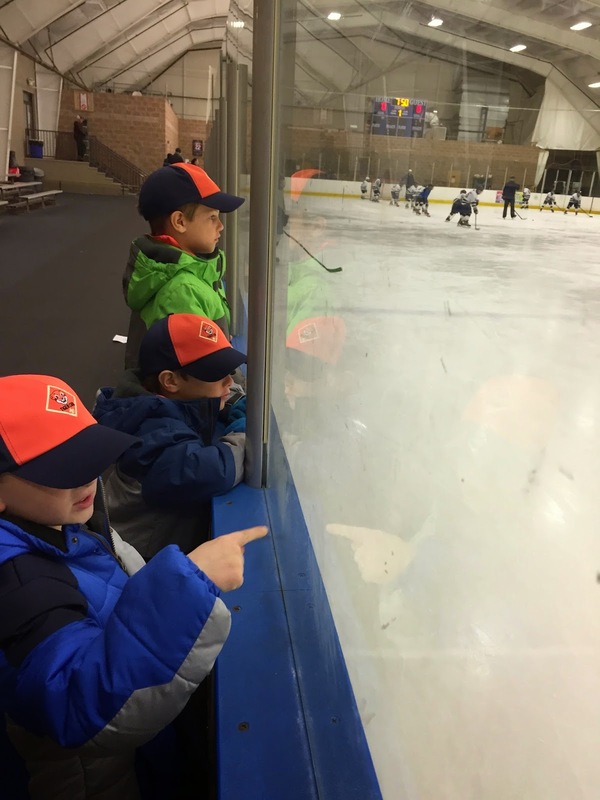 Their 'Go See It' sporting event was a challenge to book - what kind of sporting event could you take six and seven year old boys to that plays on a weeknight and doesn't cost anything? That's where Aspen Ice saved the day! 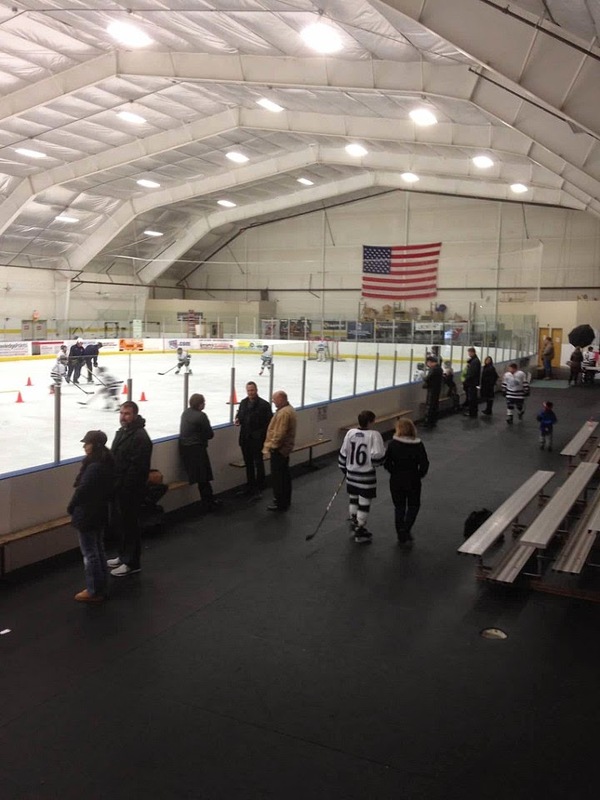 Aspen Ice has been renovated and is now known as Flemington Ice Arena. You can find it in Flemington, right on Case Boulevard. This is directly off of Rt. 202 South. This is a crummy picture, I know, but it was too dark outside to take an exterior shot! Aspen Ice (now known as Flemington Ice Arena) is an indoor ice skating rink that is open year round. They offer a variety of services and activities, such as Open Skate sessions, 'Friday Night Skates' with a DJ, summer camps, birthday parties, ice hockey lessons, ice hockey games, skating lessons and more. 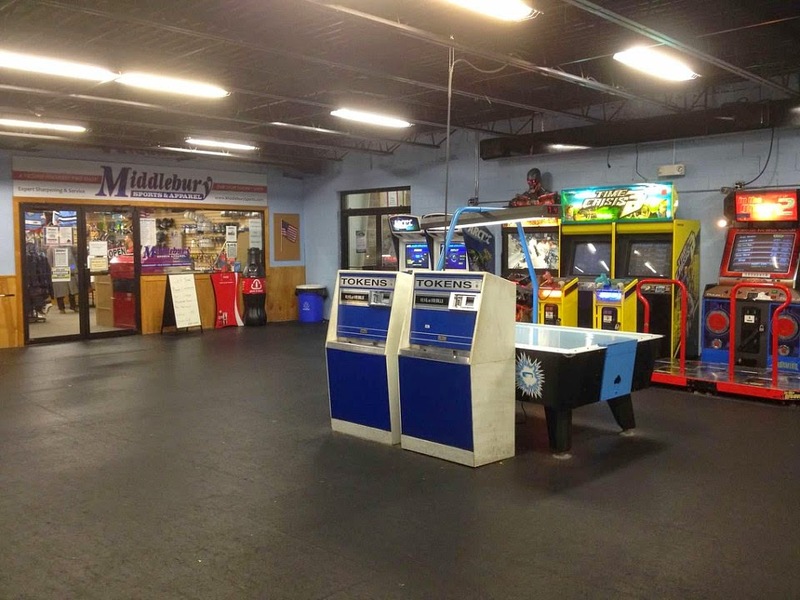 They also have a skating pro-shop on premises, as well as a concession stand and small arcade. Check out their website for all of their offerings and their monthly schedule of events. The rink at Aspen Ice. What Will I See at Aspen Ice? When you first enter Aspen Ice, you'll find a small concession stand, a front desk, picnic table/benches to eat at, a small arcade, a pro-shop, and a party room in back. *Please note, this was prior to renovation. Updated pictures will be posted soon! The lobby at Aspen Ice, Flemington, pre-renovation. Coach Mike and the boys at Aspen Ice. The Pro-Shop and Arcade at Aspen Ice. You'll find the ice rink off to your right, and there are bleachers where you can sit and watch events. It's chilly in there, so bring a jacket and dress warmly (it's ice, after all). 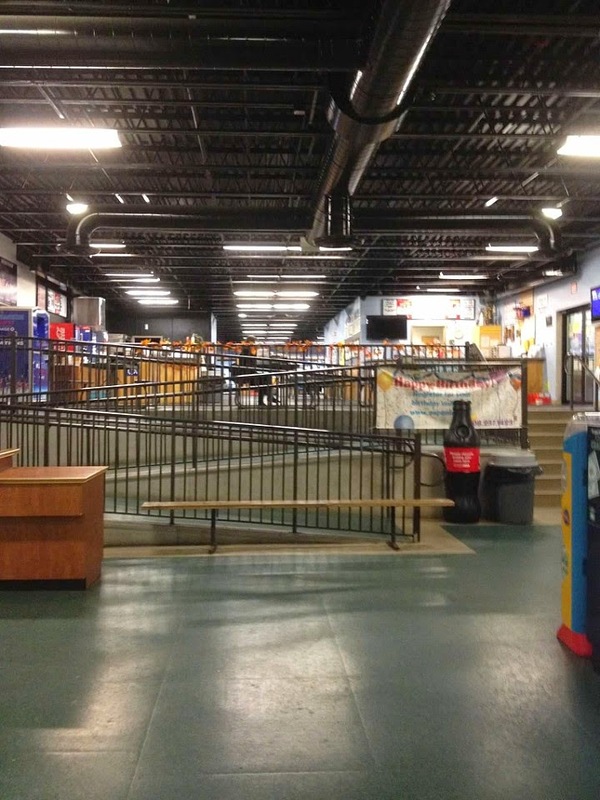 There is an area where you can rent skates, and plenty of safety glass up to keep you protected. The Jersey Momma's boy was very excited to see a real zamboni. The Jersey Momma makes a rare appearance without a ponytail! Aspen Ice offers a lot to the public. We have never been to an open skate session, but friends tell me it's a lot of fun, especially if you go in the summer (neat thought, right?). Coach Mike talked to our cub scouts and told them all about the hockey programs they offer for kids (girls and boys) and adults. He was very knowledgeable and the boys enjoyed listening to him and seeing all of the cool hockey gear. You can visit their Facebook page to see their daily activities. *Aspen Ice is a fun, local venue. It's essentially like a giant warehouse, so the lighting is a little dim and you get the feel of being in a gym or sporting venue as opposed to a show arena. There were lots of kids here who all seemed to be having a great time. 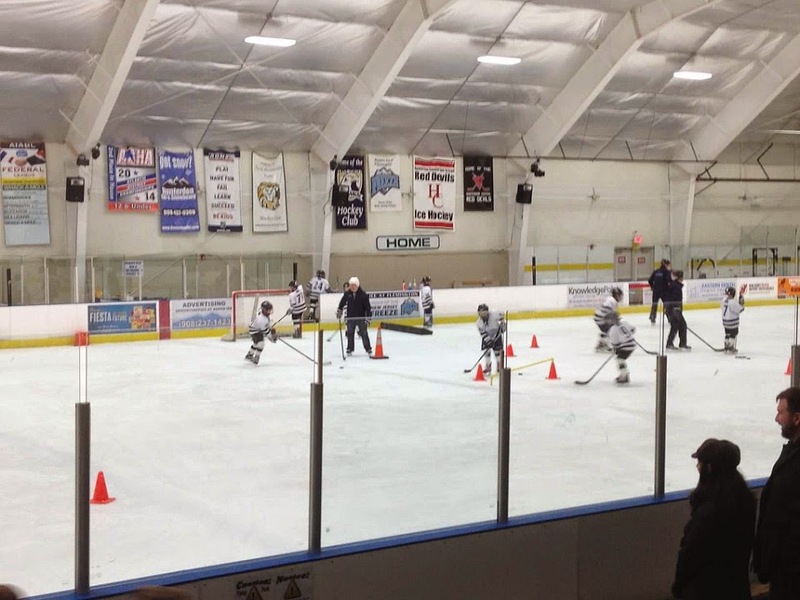 *We were able to watch some boys practicing hockey (NJ Freeze) and we were extremely impressed with their abilities. Our young scouts were amazed watching them play, and as a parent, I was blown away by the players' dedication. The boys we watched were probably between the ages of 10-11, but they offer lessons and teams for players of all ages. *We only watched the teams practice for about a half an hour and I was so cold by the end of the evening! So really, dress warm, people! *Coach Mike also told us about some special days throughout the year that are offered at ice rinks across the country (including Aspen Ice). Kids can try hockey for free! Check out this link to read all about it. *Everyone we encountered working at Aspen Ice was extremely friendly and eager to help. Their enthusiasm for hockey and skating in general was very evident in everyone we met, including the kids playing there. 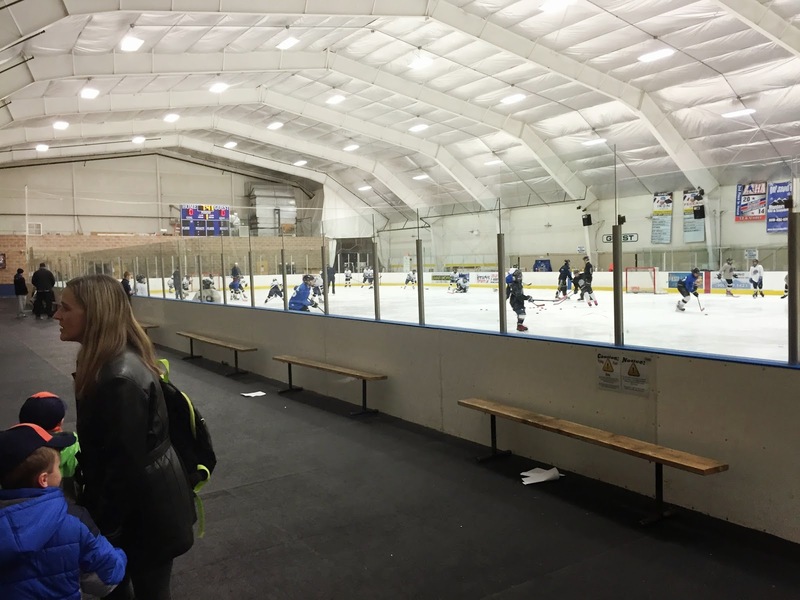 Aspen Ice was slated to close in late March of 2015, but according to sources, new owners reached an agreement to save the rink, and it has finally reopened as Flemington Ice Arena! Flemington Ice Arena is the only ice skating rink in Hunterdon county. When we visited it as Aspen Ice, we were amazed by the dedication and skill of the young players practicing on the ice. Families, friends and siblings were all showing support and watching the boys and girls who played. 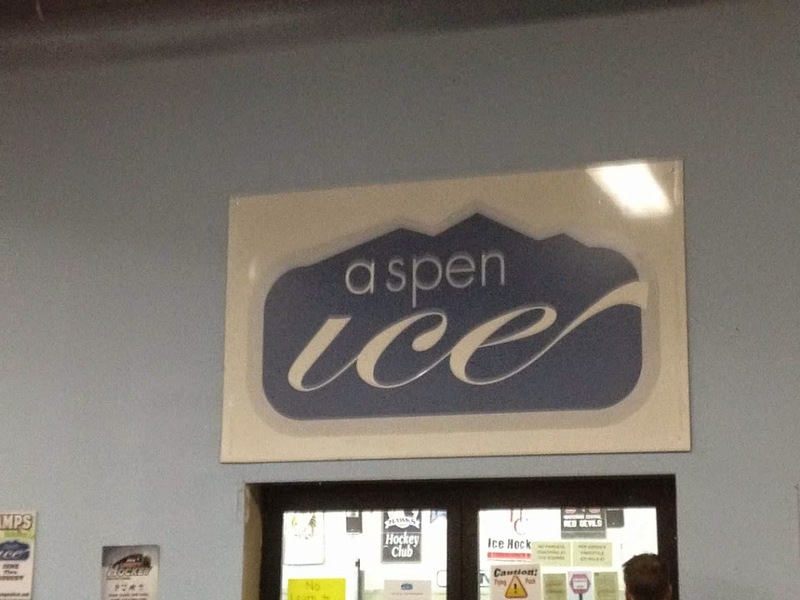 The employees of Aspen Ice took time out of their busy schedules to show us around and teach us about the joys of ice hockey and team sports. The community knew it would be a crime to let such a special venue disappear, so local residents and friends rallied to help save this establishment. We wish Flemington Ice Arena much continued success and we hope the community will continue to support it!